Kick your writer's block to the curb. and start writing great lyrics every single day. Over 800 badass singer-songwriters have rocked this challenge. Wanna join? "The best thing is that songwriting doesn’t feel like a chore anymore. It’s now something I look forward to every day, and when I missed a day I’m happy that I get to do two in a row. " Step outside the box of rules, proper syntax, standard rhyme scheme, common song forms, etc. The first day will be 5 minutes. The 30th day will be 36 minutes. By the end of this free course, you will have a consistent writing routine.... and we will dance! Hi, I'm Stephanie. I am a singer-songwriter and I perform in yoga studios and at yoga festivals around the world. 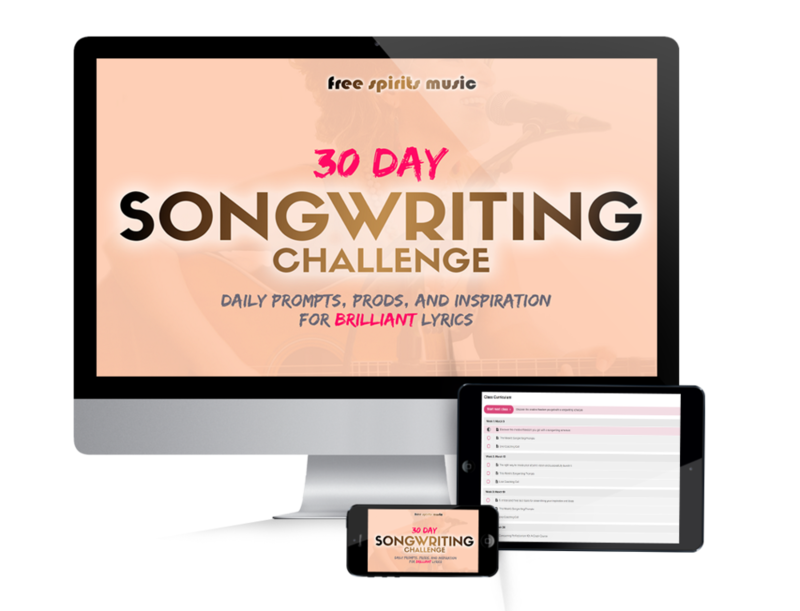 Over 1200 songwriters have joined my 30 Day Songwriting Challenge to kick self-doubt to the curb and discover their own creative process. Anthony starting writing songs he actually liked. Sinead got her song published. "In a word, it was inspiring. I wrote every single day, and my pen won't stop talking to me. When I say it helped me tremendously, it's an understatement."